Best Sun Hat: Save Yourself from Skin Burns! Involving in outdoor activities can expose you to excess sunlight, leading to skin burns. However, if you are an outdoor fan, there is no way to avoid the sun all the time, right? That is why we are pretty sure that you are aware that wearing a hat, can protect your skin from the burns, and ensure you are not limited from having the fun out in the sun. On the other hand, not all sun hats are suitable for every situation and for everyone, and you need to know a few things before buying one for yourself. Otherwise, you might end up with a hat that is not suitable for what you planned it, and exposing your skin to the harmful sun’s rays, and that is why we decided to jump in and save the day by sharing a few tips that will help you in finding the perfect sun hat for you. This review picked the best sun hats that you should consider while preparing your hiking gear. Sun hats come in different types and sizes, giving you a reason to consider certain factors before settling for one. Choosing the right hat for hiking is necessary as it will protect you not only from the harsh sun, but also from other environmental elements. Knowing where you will walk gives you the best clue about the degree of the sun’s heat in the area. This way you end up picking the right hat to protect you from the sun rays and other weather elements. Depending on your taste, a sun hat should be able to give you a better vision of the peripheral. Being able to view your surroundings assures your security as well as being able to carry out activities without stress. If you involve in activities such as playing tennis or volleyball, you should consider a hat that doesn’t block your vision. A 3” brim should do just fine in this case. The hat should at no circumstance all off. If the activity is going to make you sweaty, you might consider a hat that will give your head maximum aeration. A hat meshed on the side will do just fine in this case, or better yet, find one made of a material that dries fast through evaporation leaving your head dry. In fact, the best way to cool your head in tropical areas is by wetting your hat and leaving the water to evaporate. A cap offering maximum sun protection has 4” brim and UPF rating of 50. This rim size, however, is not sufficient if the brim isn’t angled in a sloping manner. What does this mean? 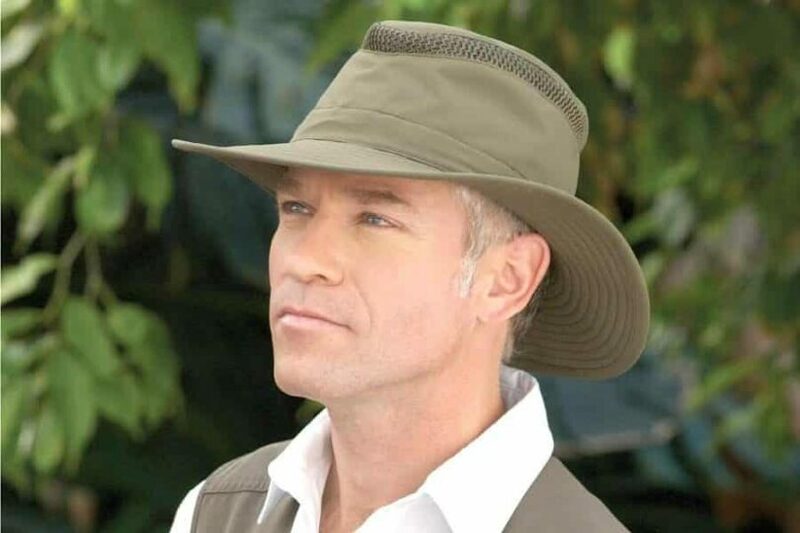 If your hat had a wider rim, but angled sharply, it might fail to protect your face and neck at sunrise or sunset. It is, therefore, important to consider the angling of the brims if you want to choose the best hat for sun protection. Knowing the time when you will be outdoors might help you in predicting the position of the sun at those moments. This knowledge will help you choose particular hat designs that can give you the best protection against the scorching solar. We are not all the same; different people have different opinions about the rim size. There are some who are comfortable with a larger brim while others find it a bit annoying. The angle is equally important when it comes to sun protection. To ensure you have the best hat or sun protection, choose a hat with at least 4inches brim and angled downward. Sun protection hats are usually made with the main thought of protecting you from the harsh sun rays. 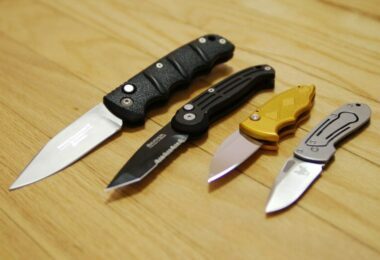 They, however, come in varieties and if you are fashion conscious you still can find something that suits your desires. Make sure you buy a hat that fits you perfectly. A larger hat might keep on falling off every time you bend a little or getting blown off by slight winds. Buying an adjustable hat might be the best option to consider. We are now to the part where we will discuss several product reviews for the best sun hats on the market currently. Take a look at each hat and see if it works for you. Hopefully you will find yourself a great new hat! 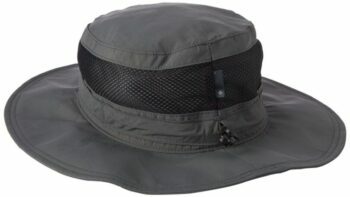 Description: Adam’s Headwear Extreme is the perfect sun protection hat for adventurers, fishermen, and hikers. With a simple four-panel design and 3” brim, this hat offers serious sun protection all around. The neck extends another 8inch back flap to keep your neck protected. To ensure it offers maximum sun rays protection, this hat is made of UV protected fabric with UV45 and above rating. The terry sweatband and cool crown mesh lining, provide aeration, hence proper cooling on your head. Inside the veil is a patent hidden zipper that allows you to adjust the hat accordingly. It also has an elastic cord feature with a metal clip that allows you to attach your hat to your shirt hence minimizing chances of losing the cap. You can find this hat in many colors, which users love. Not only that, but it is affordable and will keep you shielded from the harsh sun. Related: The Hanes Long Sleeve Cool Dri T-Shirt have a high UPF rating and come in a pack of 2 for under $20! It will offer a great sun protection in combination with the hat. Description: The Columbia Bora Bora Booney is a unisex sun protection hat made of textured poplin shell which provides UPF 50 sun protection. The polyester sweatband and mesh ensures your head is always dry regardless of the sweat. What’s more is that the fabric used for making this hat dries and wicks quickly and hence easy to wash and wear. With a chin strap, you can safely secure the hat from falling off in the case the winds pick up. The draw cord, on the other hand, helps you adjust the hat size to your desire and readjust it back. Users like the range of colors to choose from, the high level of UPF protection, and that the brim does not hang too low, which can happen with other sun hats. They also love the Omni-Wick mesh and sweat band, and the chin strap that will adjust when you need it to. Related: Make sure you have your eyes protected too! The Skechers Black Multi Polarized Sunglasses are stylish and affordable! Description: This Sunday Afternoon Hat protects you maximally against any harsh elements that you encounter during your adventures. The meshed sides allow your head to be cooled when the heat becomes too much by allowing in the breeze to flow in. With the chin straps, you can comfortably protect yourself from the sun’s rays in windy areas without worrying that the hat might be blown off. It has a 7.5 inch brim in the back that protects your ears and neck while the 4 inch front brim protects your face without barring you from seeing ahead. Under the brim is a dark colored lining which absorbs reflective light and hence reducing the glare. Those who have purchased and worn this hat like the variety of colors, the amount of sun protection they get, and that the sun hat is well ventilated. Plus, it is water repellent as well as stain resistant. Related: The Vapor Apparel is affordable, protects you from the sun, comes in many great colors, and is agreat addition to your hat! Description: Henschel Packable Mesh hat is made of a sturdy material that keeps you protected from sun rays, torrential downpours, and rough winds. The mesh allows the breeze in when the sun gets tough keeping you cooled. If you are looking for a hat, that will protect you from sunburns and at the same time keep your head cool, this is the hat to choose. This hat is made of 55% polyester and 45% cotton and you can feel the breeze right through the hat. It breathes well and will not trap humid air inside like some other sun hats. You can choose from 6 earthy colors that will match any outfit you want to wear with it. Those who have used this mesh sun hat state that they stay cool while still being protected from the sun. The UPF material within the hat is heavy duty and the brim is 3 inches wide, plus the chin cord does adjust how you need it to fit. Made in the USA, those who have this hat would overall recommend it to others who enjoy many outdoor activities but are worried about sun protection. Related: While you are outdoors, consider some insect repellent for those nights when you have a lot of mosquitoes after you! The Sawyer Products Premium Insect Repellent works well and comes as a lotion or a pump spray. 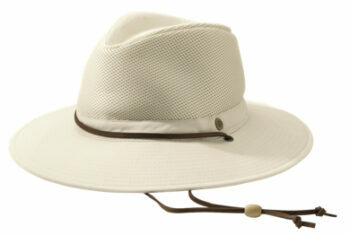 Description: With a 3 inches brim, Coolibar Canvas Hat offers you maximum protection against harsh UV rays. The internal elastic band allows you to adjust the hat accordingly. 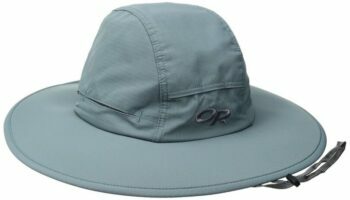 It is also one of the most comfortable and stylish sun protection hats you will find on the market. To improve on sun protection, Coolibar added a protective liner on top of the cap. This, however, compromises the hats breathability. The cap is highly durable and snaps back to shape even after being crushed when packing. The rim of the sun hat is 3 inches and the hat itself is made of cotton and polyester. It is mesh ventilated can be spot cleaned when needed. 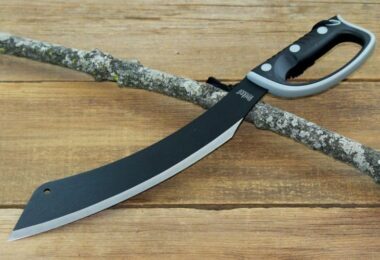 At around $60, it is a little expensive, however. Uses like this hat because it is not crushable, can be taken anywhere and even packed in your suitcase! Overall, users do love this hat, just not the price. Related: The Coolibar is a long sleeve shirt that comes in many colors, and will run you under $40, but it does have sun protection that matches the Coolibar hat! Description: Outdoor Research Sombriolet Hat is a unisex sun protection hat that you can wear on wide range outdoor occasions. The material is sturdy enough to keep the harmful sun rays from reaching your head, while the 3 inch wide brim protects your entire face. Furthermore, even if you are in a windy environment, you can put on the chin straps to prevent the hat from being blown off your head. And, if the place is quiet but hot, you can remove the straps. The wicking fabric helps the hat to stay dry in case you are sweating. The mesh lining in the crown, also enhances the moisture management, and that is especially appreciated when you are in a scorching place. Most people that bought this hat, like it because it really protects your head from humidity and the sun’s rays, the brim has foam in it, and it is quite comfortable. Related: Take along some sun screen if you will be outdoors a while. The Neutrogena Ultra KQRTt Sheer Sunscreen works well and is SPF 100. Description: The sturdy cotton fabric provides the hats durability, yet it is a lightweight. The meshed lining of the Tilley Endurables T4MO allows hot air to escape as the cold air gets in hence keeping your head aerated. 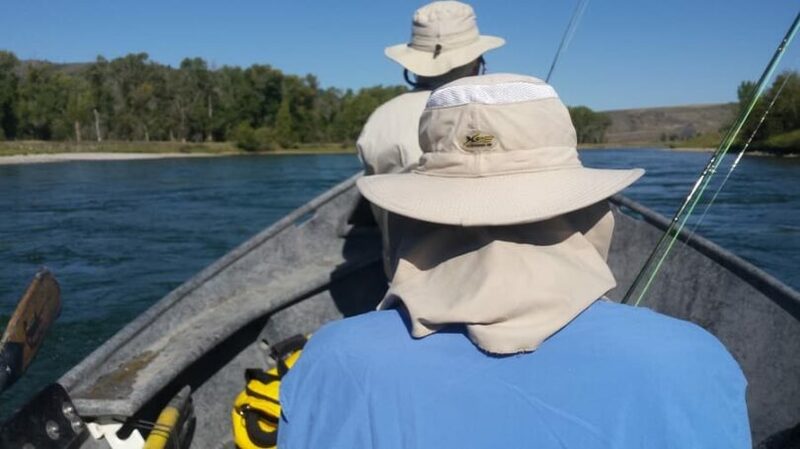 The foaming feature of this hat allows it to float if it goes overboard and, therefore, making it the perfect sun protection when you are going fishing or boating. The hidden pocket is an extra excellent feature where you can hide your ID or license. Furthermore, the hat has unique chin cords that allow you to prevent it from being blown away by winds. Users like this hat because it allows air to flow through it so humidity does not build up. Along with that is the exceptional sun protection and nice colors to choose from. The only down side is the expense, because this hat can run you up to $100 depending on the options. Related: Now that you have taken care of your head protection, it’s time to think about eye protection. Keep your eyes protected with the Spy Optic Touring Square Sunglasses, as they are 100 percent UV protected. Protection from sun rays is one of the most crucial factors that you should consider while planning an outdoor activity event. With so much sun hats on the market, it will be hard not to find one that suits your taste. However, you also need to consider the above-discussed features before making your purchase. Although fashion is somehow a conscious factor to consider, the hat’s ability to protect you from the scorching heat and other harsh elements is the most predominant factor. While buying your hat, you might consider choosing the one that protects you from the glare as well; even though it’s common to ignore, you might realize that having to deal with this kind of heat is quite annoying. If you like our article, feel free to share it with your friends, and if you think that we missed out on something important, don’t hesitate to leave a comment in the comments section below. Best Thermal Underwear: Don’t Let the Cold Stop You!